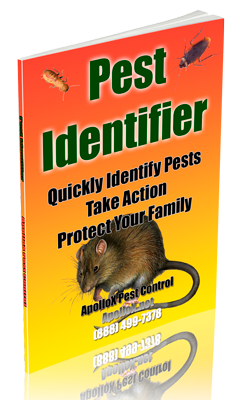 If you’ve discovered a wasp, hornet or bees nest near your home and want to get rid of it before you, your family or pet gets stung, call ApolloX Pest Control. ApolloX Pest Control will remove wasps, hornets, and bees from your home quickly, efficiently, and safely. The baldfaced hornets are best known for their large football-shaped paper nest, which they build in the spring. The nests can reach 3 feet tall. Hornets are protective of their nests and will sting if disturbed. Paper wasps mix saliva with fibers from dead plants, to use for constructing nests. The nests look like gray paper and have open combs with cells. Paper Wasps generally only attack if the nest is threatened. They feed on nectar and other insects. Yellow Jackets have a yellow and black head/face and patterned abdomen. They can be found any place humans can be found. Check near recycling bins or other areas where sugar is common. They become more aggressive in autumn they begin to die out. Although Cicada Killer Wasps rarely sting unless disturbed, homeowners may become alarmed because of their very large size (nearly two inches). They dig annoying holes in lawns, flower beds, gardens, and sandy areas. They appear in mid to late summer. One of the most important preventative pest control actions you can take in the fall is to eliminate all yellow jacket nests on your property. Why Eliminate Yellow Jacket Nests In the Fall? How Does One Yellow Jacket Nest Turn Into 20 or More? By fall, the yellow jacket nest has reached peak size. The nest is filled with reproductive cells containing new males and queens. The new queens build up fat reserves to overwinter. Adult reproductives leave the parent colony to mate. After mating, males quickly die, while fertilized queens seek protected places to overwinter in covered natural locations such as tree stumps, hollow logs and under wood piles or yard debris, although they may also choose manmade structures for shelter. In spring, the queens emerge from their winter shelters and each begin to build a nest from plant fibers that they chew, making a type of paper. Where there was just one nest last fall, now there are many, each with their own queen! Each queen begins laying eggs in her new nest. Throughout the summer, the nests continue to grow. As adults, the first offspring are sterile female workers that expand the nest, search for food and care for the queen and her young. After her first generation matures, the yellow jacket queen remains inside the nest laying eggs for the rest of the summer. The new nests grow to a size of 5000 yellow jackets or more by fall and the cycle repeats. Want to avoid 20 or more yellow jacket nests on your property next spring? The solution is to have ApolloX Pest Control find and eliminate any seed nests this fall. 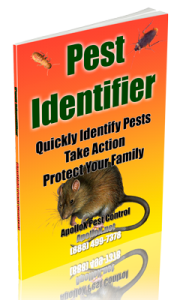 Call ApolloX Pest Control for wasps, hornets pest control in the Fairfield County CT towns of Fairfield, Black Rock, Bridgeport, Cos Cob, Darien, Easton, Greenfield Hill, Greenwich, New Canaan, Noroton, North Stamford, Norwalk, Old Greenwich, Redding (lower), Ridgefield (lower), Riverside, Rowayton, Shelton, Southport, Stamford, Stratford, Trumbull, Weston, Westport & Wilton.